Discover the difference and enjoy two days tour to El Minya City in Upper Egypt to see the pharaonic tombs and remains in Tuna El Gabal, Beni Hassan and Tel Amarna. Egypt Travel representative will pick you up from your hotel in Cairo or Giza to El Minya about 4 hours. 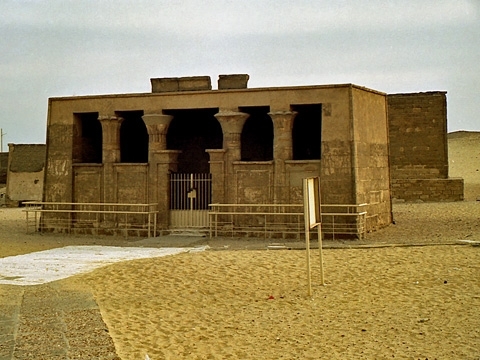 Arrive El-Minya and start to visit the city’s site, including the great plain where Akhenaton received his divine inspiration to build his city , lunch at local restaurant then proceeds to Tuna El Gabal where you can see the tomb of Petosiris, Ibis catacombs & Isadora tomb (This tomb goes back to the 2nd century AD and belongs to Isadora the renown for her beauty in the city of Hermopolis ), overnight in El Minya. In the morning, our representative will pick you up and take you to Beni Hassan; where you can see Bakhet III tomb (Bakhet III was the Governor of the Oryx Nome), Khnumhotep tomb (Khnumhotep was a governor under Amenemhat III in the 12th dynasty) & Khety tomb (It belongs to a governor in the 11th dynasty), Lunch at local restaurant, then proceeds to Tel El Amarna where you can see the northern tombs among of which Ahmose tomb & Huya tomb, drive back to your hotel in Cairo.